See Price in Cart ? Take a look at this Turbo II shoe from Dexter! 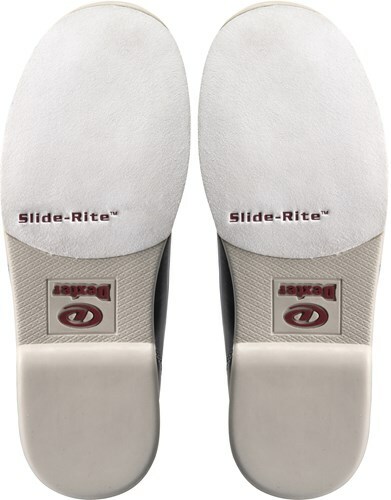 This shoe was designed for comfort and performance and would make a great gift for any bowler as it can be worn by right and left-handed bowlers. I bought a pair from my local pro shop for [$]. Boy did I get hosed! I should have checked bowling.com first. Very nice and comfortable shoe. By Tom from Huffman, tx. They feel good so far. Most comfortable bowling shoes I've ever had! They look sharp, too! Can this product be shipped to Hawaii? Hello. Yes this product can be shipped to Hawaii. is this a medium width shoe? Hi Bill. Yes, this shoe will be a regular width. Is the toe box in this shoe narrow? Hello Steven! This shoe comes in the standard D width. 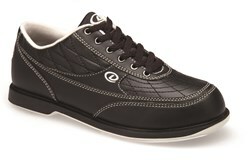 Due to the time it takes to produce the Dexter Mens Turbo II Black with Khaki Trim ball it will ship in immediately. We cannot ship this ball outside the United States.